“Super Convenient” Android Wear is Here and Helping Jeff! 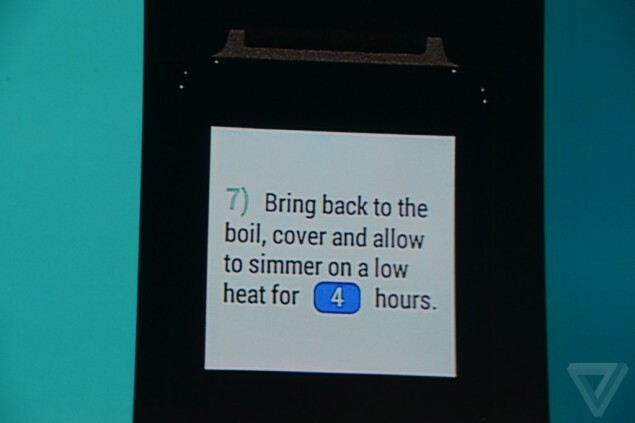 At Google I/O 2014 conference, Google showed off its brilliant Android Wear today. The convenient Wear looks to help the user throughout the day while seamlessly connecting to other devices. From notifications to making calls and setting a timer while following a recipe, Android Wear is here to make your life better and easier! 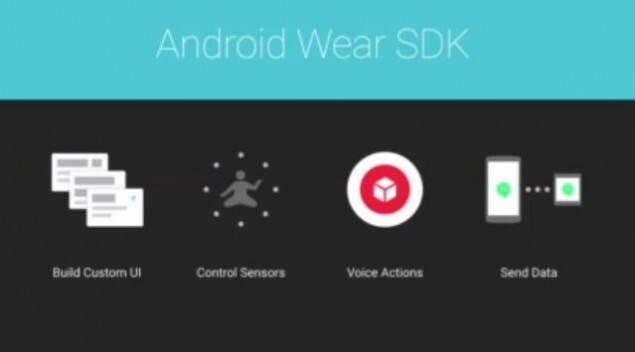 Google today demoed Android Wear using an LG G Watch showing voice commands, notifications, and other actions on the smart wear. Director of Engineering, David Singleton, proudly said that to make Android Wear more fashionable and adaptable by different companies, Wear will be available in both the square and round screens – thanks for that! The Android Wear is set to come in a variety of fashionable designs to help users easily make a fashion statement while being all techie! “We’re right at the beginning of a new phase of the miniaturization of technology, which means it’s finally possible to make a small computer that can fit comfortably on your body all day long”, Singleton mentioned. Through out the Keynote, we saw various Google representatives wearing various models of Android Wear, possibly from LG, Samsung, and Motorola. 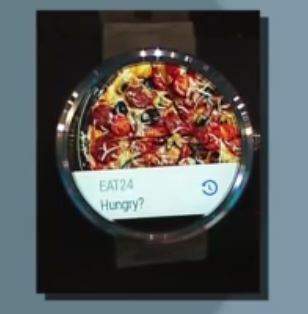 The demo at keynote ending with the note that LG and Samsung smart watches will be available from today for sale. While Google has been in smart watches from quite some time, today’s demo of seamless connectivity with other devices, when and where needed, is the best yet. We saw the company showing how easier it is to follow a recipe (which by the way will perfectly sync with your smartphone screen too), set a time right from between the recipe, and follow it back from the smartphone. We also saw how possible it is to order for your favorite pizza in less than 20 seconds! And that is just out of the box; think of the possibilities that would developers help to create for Google. This is actually the perfect time for Google to make a comeback in smartwatches as its arch-rival, Apple, is rumored to be launching its first smartwatch called iWatch later this year. This year, Android Wear is beautifully integrated through out the platform and will perhaps help the companies resolve many issues that were apparent in earlier releases of Samsung Galaxy Gear. 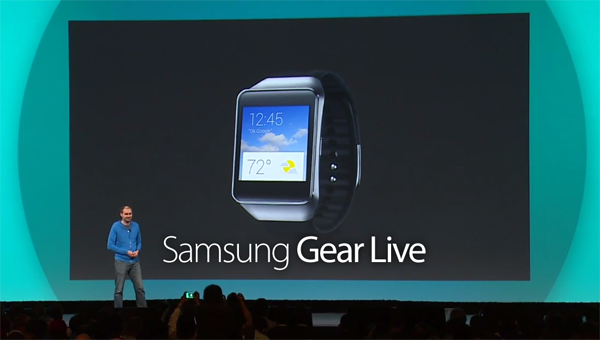 Google also announced Samsung Gear Live smartwatch at the keynote. Gear is 1.63″ Super AMOLED display with dust and water resistance. The smartwatch, as expected, features a heart-rate sensor and will work with any Android device – not just Samsung – powered by Android 4.3 and above. Gear Live will be available for $199.99 on the Play Store and at the Best Buy stores from July 7th. LG G Watch will be sold for $229 with the same dates. 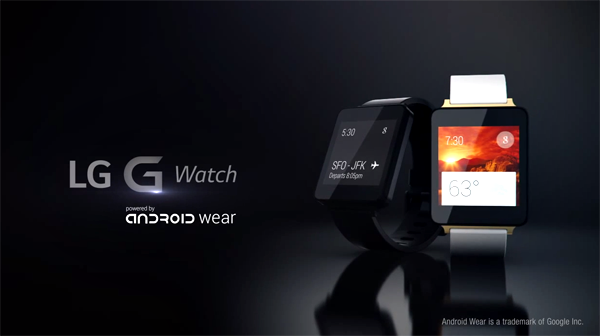 LG G Watch has a 1.65″ display, Snapdragon 400 processor, and is water and dust resistant like Gear Live. Note: Samsung Gear Live and LG G Watch will be available later today in Play Store. Moto 360 will be available for sale later in summer.